Saturday found Gavin and me wandering around the Hampton, CT, Audubon Society at Trail Wood pathways. 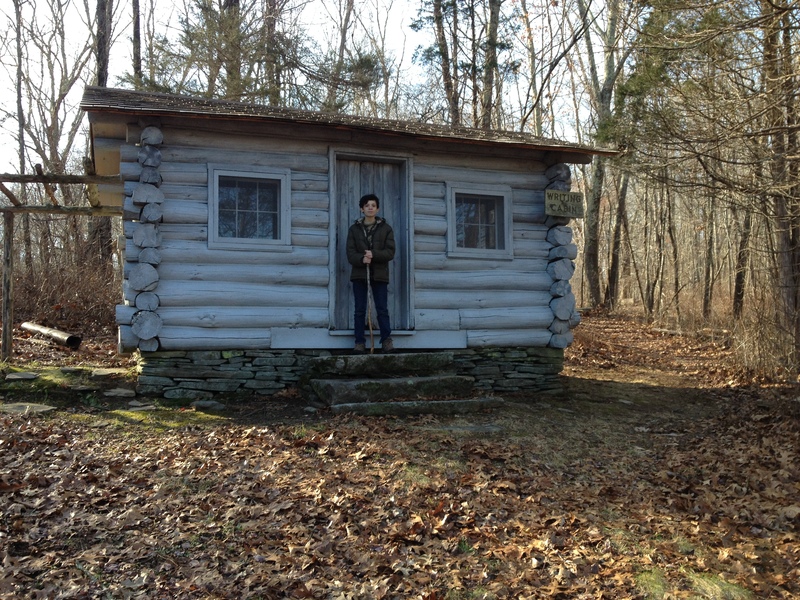 They encircle the former home and writing cabin of nature writer extraordinaire Edwin Way Teale. The day was a gift. We relished the balmy 51 degrees of an unseasonably comfortable late December day. We signed in at the information building, musing over the many visitors that have walked these trails over the years. We looked up the day Gavin was born–yes, someone had been hiking there on that very day in 2002! 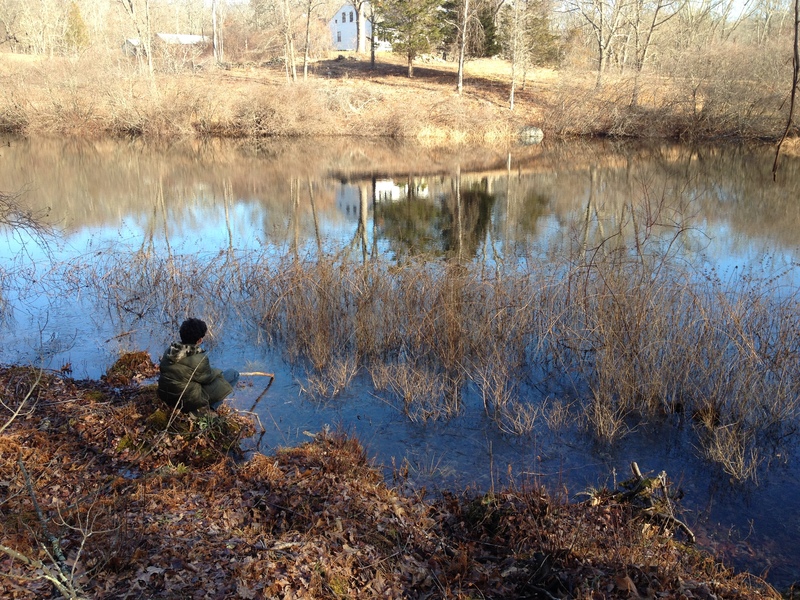 Some guest entries provided great detail–2 beavers at the pond, deer on the path, beautiful autumn colors. Someone had left a large paper wasp nest (now abandoned, of course) on the table, alongside maps, books, and magazines to educate the visitor, including this Connecticut Woodlands issue on the former resident nature writer. Teale wrote A Naturalist Buys an Old Farm at Trail Wood; the book about his time at these 168 acres of ponds, woodlands, and pastures was the Christmas gift to which I treated myself. One of my goals this year is to make myself more hardy, so I am more apt to get out when it is colder than my current set point of 40 degrees. 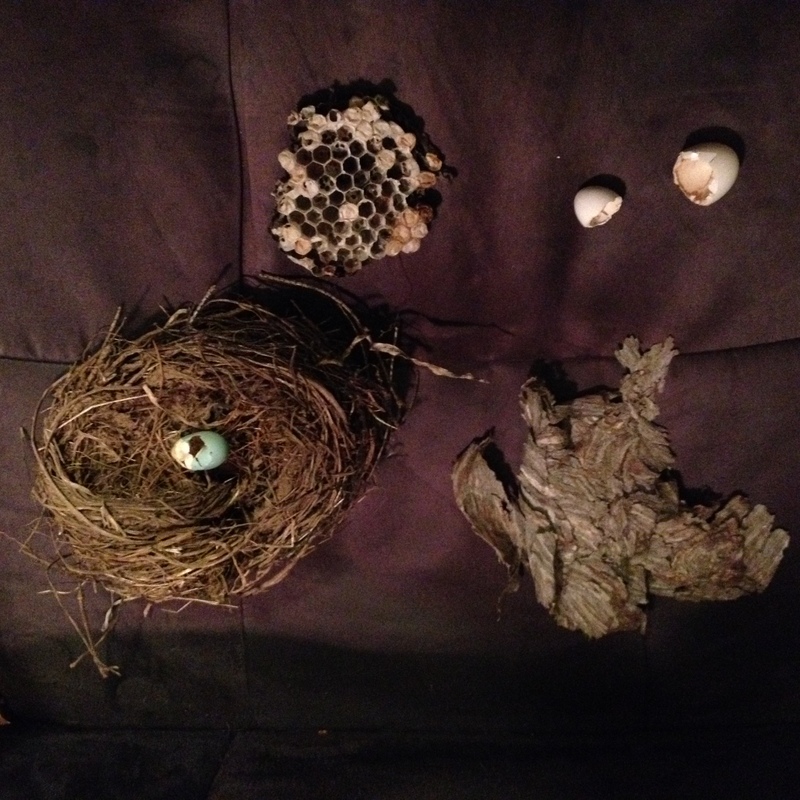 For super frigid days, I have my “Cabinet of Curiosity” to pore over–a box that Gavin decorated into which we’ve deposited egg shells, snake skins, fungi, lichen, nuts, butterfly wings, and all matter of other nature finds. I have new respect for the squirrels, and great hopes for more outdoor “nest safaris”, even when the temperatures dip a bit lower. Of course, when the weather warms again there will be new nests with new occupants. It will be fun to find those, too, although of course they must be viewed from afar. Here’s some advice on the pursuit from the Cornell Lab of Ornithology.